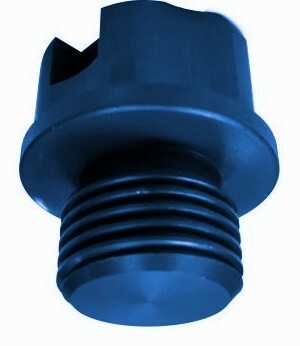 A good looking and functional replacement for the nasty plastic caps supplied with modern vehicles. The X-Cap can be removed with any multi-tool: most spanners (edge on): 27mm wheel wrenches and if you have nothing else: even a stick will do. It will fit the vast majority of Land Rover vehicles plus others with a 3/8 BSP thread. It is designed to fit in the top of the radiator on PRE Td5 engines. The Td5 has a plastic bleed plug in one of the hoses which is a different size. It will also fit the Axle Filler plug on Discovery 2 and in to the thermostat housing on 300Tdi engines.